Boundaries are important for anybody, but they’re especially important during early recovery. As a person makes the transition from a life of addiction into their sober life, they have to come to terms with several unique challenges as they adapt to the circumstances they are faced with outside of their addiction. Depending on what they have done and how much time has passed, going sober after years of being addicted can be very daunting. Among the many changes you have to get used to, there is the fact that interacting with others may be somewhat difficult, especially if you feel you’ve hurt them, or if they feel you’ve done them wrong. Coming to terms with what you’ve done and finding a way to mend broken bonds and overcome any feelings of self-hatred or anger is very challenging. Because it’s such a delicate time for most people, it’s important to respect the role that a healthy set of boundaries can play when helping someone adjust from being addicted to becoming a sober person. To make effective use of boundaries during recovery, it’s important to understand what they are, how they can be helpful and problematic, and how using them effectively will mean understanding what is best for you and your recovery, as well as knowing how you’re going to have to move forward to help heal old wounds. Boundaries are, very simply, rules of engagement for yourself and others when interacting. We often go our entire lives without thinking about boundaries, until we realize that we’ve employed them time and time again. A boundary in this sense is any measure we take to control the way we interact with others. Boundaries can be extremely helpful for your own mental health and for the wellbeing of others, or they can be destructive and harmful. For example: good boundaries allow you to coexist with a loved one without constantly being up in arms against each other on specific topics. Bad boundaries actively impede your ability to communicate with one another, causing significant problems including alienation. Good boundaries include knowing when you draw the line in a conversation and decide to stand up for yourself. Bad boundaries are accepting no form of criticism whatsoever and blowing up in anyone’s face when they so much as dare to make a non-positive comment. Boundaries are versatile and necessary for our ability to assert who we are, what we tolerate, and how we protect our identity and mental health. 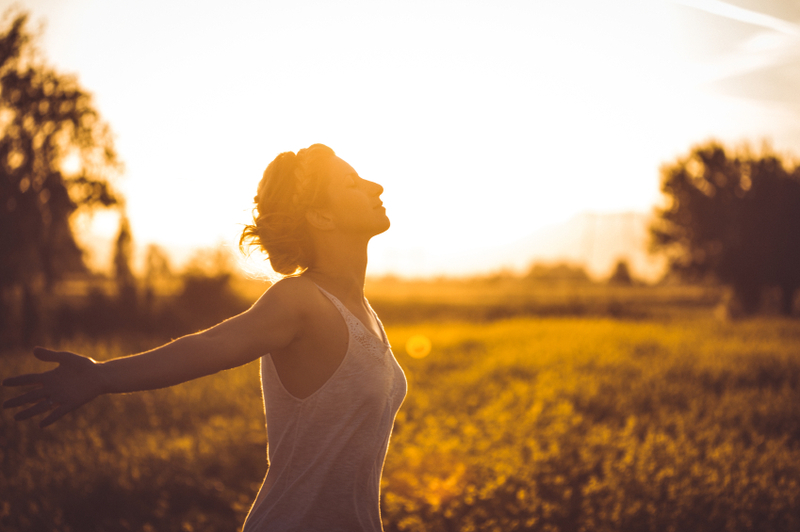 For those who struggle with addiction, healthy boundaries can help them maintain a better sense of self and avoid many issues related to self-esteem problems and guilt. For those who live with someone struggling with addiction, setting up proper boundaries can save the both of you a significant amount of grief. Recovery can be a difficult time, but it can be made significantly more difficult by a lack of understanding or a callous approach by others around you. Even if they mean well, a lack of compassion can fuel fears deep within many addicts that their addiction is something they deserved, or something they cannot overcome. Rather than seeing boundaries as a way to control a conversation, consider how words and sentiments heavily affect you when a loved one or a friend crosses a line they didn’t know existed. Making these lines clear is not being ‘demanding’ or overly sensitive. It is common decency not to verbally hurt those around us for no reason, and it’s vital to recognize that we all interpret hurt in different ways. Consider how you want to be treated, apply the golden rule. Treat others as you want to be treated and let them know where you draw the line. This is especially important when considering things such as humor or topics of conversation. If you feel uncomfortable discussing your days as an addict or recounting memories of drug use, then simply create a boundary that is not to be crossed. If you feel that there are certain jokes you just cannot take without getting upset, be sure to mention it in such a way that your friends and family members know not to joke about certain things. You can’t forbid anyone from laughing at anything or saying anything, but you can enforce your boundaries by making it clear that you do not want to spend time around people who repeatedly ignore your boundaries and make a mockery of them. As easy as it is to intimidate someone into disregarding their own boundaries and just going on with the abuse, that attitude can quickly lead to depressive thoughts, anxieties surrounding social occasions, and a significantly growing risk of relapse. It can be especially difficult to set boundaries during a relationship, because we often work hard to maintain a healthy relationship and fear that anything that might ‘upset’ the nature of the relationship could end badly. But it is precisely with those that matter most to us that we must pay the closest attention to the way we communicate. Consider if any of the discourse you’ve recently had with a loved one has left you feeling upset, sick, or resentful. Arguments are not inherently unhealthy, and it’s not wrong to sense a conflict between yourself and someone you care about. But analyze how you feel about the interactions you’ve had recently and whether they’re fair, or whether there is a one-sided approach wherein one party has all the power to criticize, and the other struggles to get a word in. Making changes to yourself and your lifestyle is part of the recovery process. But if you feel that instead of support and compassion, your efforts are met with resentment or further criticism, it’s time to take a step back and consider if you need some time to be alone with your thoughts or in the company of other people to figure out your boundaries. Another example of when to define boundaries is when you find yourself in a situation where you feel obligated to support your partner or do as they do but are in conflict with your own beliefs and morals. Should you value your opinion over your partner’s? Make an exception? Work towards a compromise? If you fear that you can’t stay sober at a family function, consider drawing a line and decide not to attend events that you feel endanger your health and sobriety. Or, make a compromise, by going with someone, staying only a short while, and completely avoiding alcohol. And so on. Boundaries apply to yourself and they apply to those around you. Consider how your actions might lead to moments of temptation and unnecessary grief for yourself and those around you and consider where in the sand a line needs to be drawn to avoid all that. Consider your limits in the interaction with others, and how their words and thoughts might negatively impact your goals in recovery. Yes, not caring what others say and think is a lofty aspiration, but we are social creatures and we do care quite a lot about how others perceive us. Making the right choices and respecting your own needs is part of the recovery process. Whether as a distraction, an inspiration, or as a way to experience some form of escapism and cope with some of life’s harsher realities, it’s critical to the survival of our sanity that we have some fun. Fun is highly subjective, differing from person to person. What one person might consider fun can be unbelievably boring and disengaging to someone else. And that’s okay. But the crucial thing is satisfying that need for entertainment, to a healthy degree. Coming off of an addiction, finding something to match or replace it can be daunting. The biggest challenge when trying to have fun in a post-addiction world is that nothing will ever top a high. At least, not when given the same criteria. Objectively, drugs are as addictive as they are because something about their chemical composition has such a profound effect on the brain that it becomes physically dependent on the drug’s presence over time. Psychologically, this becomes a bond forged by an experience that isn’t possible without substance abuse. Addictive drugs are an injection of euphoria into the brain – and that’s a bad thing. Everything in comparison dulls as the brain normalizes drug use. This is in part why so many people cannot continue to dedicate themselves to old hobbies and activities after becoming addicted. So, the question becomes: how can someone reverse this? It all starts with expectations. Not everyone experiences a total remission of all cravings and thoughts of drug use. Many recovering addicts continue to think back to their addicted days decades after last using. Over time, these thoughts are weaker, less tempting, and farther apart, but for many they do not ever disappear. And that is okay. You can learn to live with these thoughts, ignore them, and lead an entire life without wasting any time on them. But in that same vein, this means that viscerally, nothing will ever surpass the sheer effect an addiction has on the brain. And that’s okay. Instead of chasing thrills, looking for ways to get your rocks off, or seeking that emotional high, try to focus instead on hobbies and activities that satisfy your needs in ways drug use never would and never will. Challenge yourself physically and cognitively, expand your knowledge of the world, learn a new skill and set a goal for yourself over the coming weeks to master an aspect of it, or feel what it’s like to build, forge, or create something with your own two hands. Learn to cherish life’s experiences for more than just the instant gratification you receive out of them, but for the overall and lifelong value they impart. One of the problems with addiction is that it is all consuming. A person with an addiction is incapable of properly identifying where their priorities should lie, instead focusing everything on the task of getting high and securing the next high. It’s not a matter of choice for them. It becomes harder and harder to function as an addiction progresses, eating away at a person’s cognitive abilities and leaving them to struggle to provide for their own addictive habits. A hobby should not become your sole reason for living. Hobbies are meant to be healthy outlets for a person’s inner expressive and creative self, outlets to let loose emotionally and physically, outlets to relieve stress and have fun. But when the hobby becomes more important than family, than work, than eating and sleeping right, then you find yourself in a position where you take a healthy coping mechanism and turn it into something maladaptive. Maladaptive coping mechanisms, rather than helping someone develop the means to overcome a challenge, provide a meaningless and temporary escape from the problem, causing the problem to grow and fester and become more unmanageable and difficult over time. Prevent your hobbies from consuming you by keeping a strict barrier between your hobbies and your responsibilities. Creating a healthy work-life balance and finding the right way to engage in normal activities and hobbies while still finding the time to dedicate to daily responsibilities are important tasks for any adult. However, many recovering addicts struggle immensely with adjusting to these challenges. Sober living homes are the perfect halfway point between rehab and regular living for most recovering addicts, giving them the structure and direction necessary to become self-disciplined and maintain a healthy work-life balance, while encouraging social interaction, healthy lifestyle choices, and a daily commitment to continued addiction recovery. It takes time to adjust to sober living in a healthy way, especially if you spent years struggling with addiction and its various consequences. Many recovering addicts have an incredible work ethic but may still find it difficult to manage their time efficiently. Stricter schedules and routines, such as those in sober living communities, can help tremendously in early recovery, giving you the right sense of time to enjoy life and be productive. It’s always a good bet to return to old hobbies and try out old activities when first recovering from an addiction, but this isn’t always the best way to find out what it is that you really enjoy. Consider spending some time checking out new hobbies and challenging yourself to do things and try things you’ve never done. While you might find quite quickly that you do not particularly enjoy making pastries or learning to code, you might just discover a passion for training animals, or an interest in foreign languages, a hidden love for poetry, or a knack for writing mysteries. Give yourself the benefit of the doubt in everything you do and try it before you knock it. Addiction recovery is a very long-term process, lasting a lifetime in the eyes of many. That’s a lot of time to explore new hobbies and spend time doing the things that you enjoy the most. But it’s important to vary things up and consider spending time doing new things every now and again. 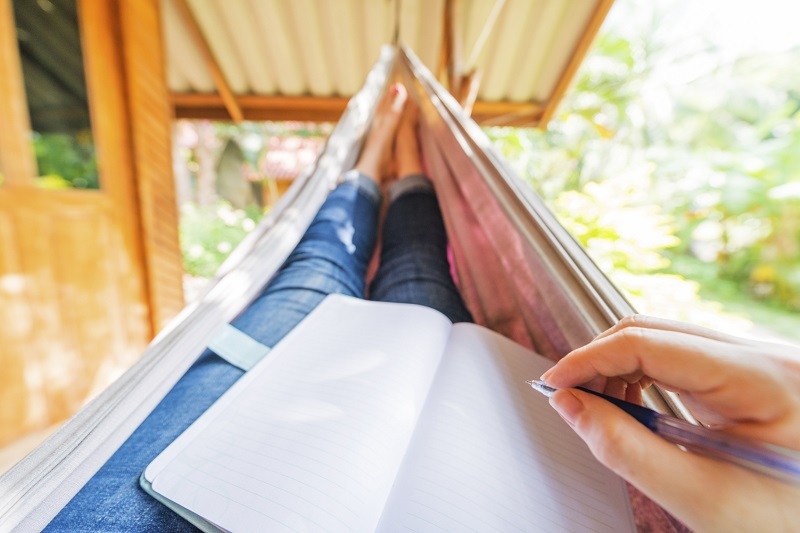 Keeping your free time activities fresh and engaging is important, especially in the first few months of recovery, to help stave off cravings and limit the urge to feed old habits. One of the hardest places for any addict to be in is a party. There are a bunch of places that are pretty tough, but parties take the cake. From celebrations to raves to birthdays, anything with the potential for high levels of booze is a big no-no – unless, of course, you control the party. If you’re headed to, setting up, or hosting a New Year’s celebration, it’s worth keeping in mind that New Year’s Eve is by far the booziest night of the entire year, bar only Mardi Gras. People are used to binge drinking on New Year’s, and if you’re not in New Orleans, it’s pretty likely that most people in your city are going to be drinking more than they have all year round on the year’s last day. From the perspective of the average person, it’s easy to see why. It’s the last day of the year – so people grab the initiative to go all out, let loose, and deal with the consequences in the morning. In a way, it’s one last chance for everyone’s 2018 version of themselves to leave a big last impression, while not really caring what the 2019 version will have to say about it. But that doesn’t mean you have to give into the pressure, and “join in”. As a matter of fact, that’s the absolute last thing you should do. If you’re hosting, it’s important that you imprint this into your mind right away. No exceptions being the most important rule. No one is allowed to bring alcohol to your party, and that’s that. Know that this will affect the number of people willing to join you – and that you might have to talk to some friends for a while before they’re ready to consider having a sober New Year’s Eve with you. Most people aren’t going to be excited about the prospect of a completely sober party, let alone a New Year’s Eve with no alcohol. But that doesn’t mean you can’t have fun, or that you’re going to end up ruining someone else’s fun because you’re forbidding booze. The last thing you want, other than alcohol, is confusion. Instead of BYOB, be sure to stress that this is a sober party, and no alcohol is going be served or allowed. Some people might try to sneak in some booze anyway – warn them that if they do, you reserve the right to kick them out. And if they bring booze anyway, follow through on your threat. They can party anywhere else, and probably find booze anywhere else – but betraying your trust and bringing alcohol to a party you’re trying to enjoy while sober is an utmost low. Being vague in your invites will invite trouble. You can’t kick someone out about a rule you haven’t made clear and sending a guest out of the party without first warning them about the consequences of bringing alcohol would also seem unfair. If this is your first party while sober, some part of you might let these arguments step over your personal boundaries, on the basis of being a good host. By being very clear in your invites, you avoid these pitfalls. If this is your first New Year’s Eve completely sober, and you’ve only been sober for a few weeks, then it’s not a good idea to be at any major party. The temptation to drink might just be too high, especially in the heat of the moment. Chances are that your deeper self is looking for any excuse to find some booze, no matter how dedicated you are and no matter what motivations you have. The first few weeks of sobriety are simply still spend struggling with moments of temptation, overwhelming cravings, and for most, a relapse or two. If you’ve been sober for the better part of a year, have spent time being sober in other parties, and are generally more comfortable with your sobriety – but it’s still your first New Year’s Eve – then you should be okay, provided you have another sober friend tag along. While keeping each other company, you can also make sure the other is staying clean no matter what. If it’s your party, then booze is an absolute no-go. But drinks are still on the menu. The question is – what are we drinking? Don’t be boring at your own party, especially if you’ve always had an affinity for cocktails. Some people only like it neat and straight, but if you’ve had a thing for the creative side of bartending, then chances are you know your favorites and your not-so-favorites. Chances are you’ve also tried a mocktail or two, and thought they generally tasted pretty bad. I mean, even in a cocktail, you’re still essentially looking for the buzz – just with an interesting taste to boot. But what if we told you that there was such a thing as a good mocktail? More than one, in fact? The Internet is your best friend, with a large variety of interesting and flavorful options for your New Year’s Eve party. If mocktails aren’t your think, stick to specialty drinks, make a theme out of it – like having a drink from a different culture every time the New Year hits a specific time zone on the globe – or just focus all of your creativity into creating good food. A great big menu of food choices is important, but most people at a party probably won’t be looking for a big meal, or any old party snacks. Stick to simple, easy-to-eat, easy-to-carry foodstuffs that your guests probably haven’t had or aren’t familiar with, as well as a couple easy favorites everyone can flock to if the experiments don’t pan out too well. No party is complete without with some fun to go around. But your definition of fun is going to vary wildly from what other people might think is entertaining. If you’re throwing a party for a specific group of friends, you’ll have to think what you all might enjoy. It could be a marathon of a favorite show running in the background, a private bet on a card game or board game, video games, karaoke, or something entirely different. Some people don’t go to parties to celebrate, but to get out of their heads. It can be hard to create the right environment for them without booze to help loosen up and throw off some inhibition. But you need to stick to your boundaries. We’re entering the end of this year, and preparing for the new year – but what does that mean? Everyone has their own goals, aspirations and reflections. Figuring out a single meaning for anyone’s upcoming new year would be senseless. But for those of us celebrating another year sober or looking forward into the near future with sobriety on our mind, one of the central themes around this new year would be to stay clean. Depending on where you are in your recovery, this could be a continued goal or a brand-new challenge. Either way, having the right mindset is important. 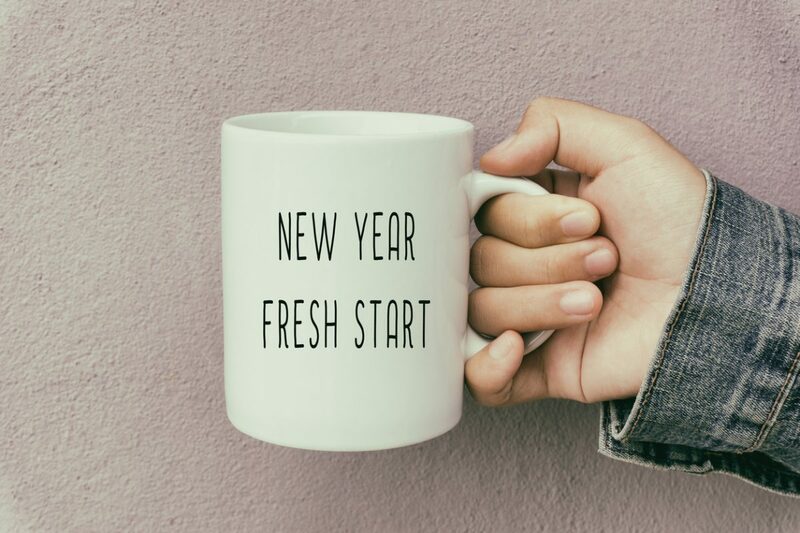 If you’re serious about making changes this upcoming new year, you need to be realistic about your resolutions – and that means approaching them in the right way. Any new year’s resolution needs an effective overarching goal. To most people, it’s something vague, nonspecific, perhaps even something formulaic like “being a better person”, or even more unspecific, “being my best self”. If your goal is anything like that, heavily reconsider your idea of what a resolution should actually be. Goals shouldn’t be vague and undefined – they should be bulleted, refreshingly sharp, visible off in the distance as clearly as the bullseye on a target. Let’s rethink. What’s your goal for the upcoming year? Is it to travel once around the world? Find and nurture a stable relationship? Hold a job you actually enjoy for a whole year? Stay clean and watch your kid graduate school? It could be anything that requires a commitment of at least a year – not something you’re getting done in the early weeks of January, but something you’ll have to stay focused on for at least the whole year. A specific, achievable goal that would completely or at least significantly affect your life and signal that you’ve made major changes to who you are and what you stand for. A goal that mirrors your newfound principles and represents not just a year of hard work, but countless hours spent defying temptation and staying true to your most earnest, inner wishes. That must be the backbone of your new year. Sobriety is as simple as not doing something. But that something is something you really want to do. At first, at least. That requires patience, dedication, discipline, and accountability. To hold yourself back and not give in to your inner wants at the behest of your own betterment and, possibly, the wellbeing of those you care about and love the most. Sobriety is about putting yourself out there, knowing full well the beginning will be hard and at times miserable, and that there might be stumbles along the way, but that you’re willing to change – and that you still have hope you can change. That mindset is integral to your new year. You need to stay optimistic, hopeful, and strong. But you also need to understand that you won’t always be those things. Part of the sober mindset is realism, the ability to take off anything that might skew your image of reality, and know that, because things are going to be really hard, you’re going to need help. Hope that you’re going to make it, and the knowledge that you won’t make it alone. That’s your sober mindset of the new year, and it accompanies your overarching goal. Having sobriety as a goal is folly. There’s nothing to achieve. No mountain to climb. You can call in at any facility, move into a drug-free space, stay away from drugs just long enough to make it through the detoxification and withdrawal, and you’ll be clean – but that’s not all recovery is about. Sobriety is a lifestyle, a decision you commit to for the rest of your life. But you need a reason to commit. Not doing something isn’t enough – you need to do something else. That’s where sober goals become critical. To make sobriety something lasting and long-term, you need to make it worth your time. This new year could be your chance to turn your sobriety into something beautiful. Start with a list of goals that you can complete within shorter amounts of time than a year. Something like visiting an entirely new country, making a new friend, learning a new skill, losing some weight, or finishing a project. Make it something personal – and better yet, make it something you’ve always wanted to do but couldn’t, because of one reason or another. No one quits drugs or alcohol, goes into a rehab facility, and comes out the other end cured of the need for drugs and alcohol. Instead, you get given the tools to help further bring you to the point where you really don’t need drugs and alcohol. But that takes anywhere from a few months to several years. Accomplishing these goals, one step at a time, and completely changing your life is key to setting apart this chapter of your life from every other: making sobriety the greatest thing you ever attempted. With addiction, the brain wants something that it’s gotten used to, and it sends signals to you to go get it – despite the fact that it’s a destructive behavior that can lead not only to death, but to the end of the things you love. By all logic, drug use and alcoholism aren’t worth it. But people who struggle with addiction either accept that and feel that they don’t care, or they can’t see it. Recovery programs and communities help open your eyes to the possibility of staying sober, and the benefits that come from it, both for yourself and for those you care about. But that doesn’t change the fact that the brain still wants what it wants, and denying it is hard. So, you have to find reasons to deny it what it wants and find other things it might like. If addiction is a coping mechanism, then it’s a short-term coping mechanism with maladaptive properties. That means it might make you happy for a while, but it doesn’t change your situation or help you move past your problems. We all need coping mechanisms, but some are healthier than others. Use this year to explore what coping mechanisms would be most effective for you. Long-term sobriety is the goal for anyone who endeavors to stop using drugs. Sobriety itself can last an hour or a life-time, or anything in between – but a short-lived sobriety doesn’t mean much if you find yourself stuck in a destructive cycle between costly treatments, painful relapses, and the guilt and emotions that accompany this switch in both directions. But if it was easy, then addiction as a whole wouldn’t exist. First and foremost, it’s important to note that the key to long-term sobriety is not necessarily something that exists in the same way for everyone. Everyone has a key, but it’s entirely subjective, and there’s no way of knowing what your key might be. Furthermore, the key alone isn’t enough. There are several components to successfully remaining sober, and all of them are important. Which one is most important will depend entirely upon you. We’re going to go through several keys and consider why each of them matter for long-term sobriety. As a whole, the basics are support, reason, and alternatives. While it might not start out that way, every addiction eventually turns into something a person can use to run away from their problems. It might start with a party or it might begin as a series of rash mistakes, but it eventually turns into something a person’s brain perceives as completely necessary to maintain sanity. That’s why support, reason, and alternatives matter. It’s almost impossible to stay sober alone. Some might go so far as to blame loneliness and isolation for most cases of addiction, insofar that people start using drugs as a way to form bonds and connect with others, failing to do so, and instead only forming a bond with substances. You need to decide on your own that you want to get clean – but you need the right help to stay clean. Friends, family, a partner – whoever you have in your corner, you need to be able to trust them and, just as importantly, they need to be able to trust you. That means telling them everything they need to know and entrusting them with your life at times. They’ll have your back and will be there to convince you to stay strong and continue staying clean on the days when you really don’t want to. Having a support system is important. You can call on them for help, rekindle and reform old relationships, and spend more time with the people you love. But professional help is important, too. Family and friends are who you call when you need the support, but it’s the professionals who help you sort out your own head and find your own path through all of this. A therapist or psychiatrist can help you identify why you began using, what makes you want to use again, and what you need to do to get both of these things under control. Some people get into drugs because something else is going on in their lives, and they want a way to deal with the pain. Others develop pain because of their addiction and continue to use as a way to cope. A therapist can help you untangle the mess that drugs has left behind, and help you make more sense of your situation. We all need something to do, and not just because we get bored. We’re meant to work together, matter to one another, and be useful within the community and within society at large. There’s an inner human drive to empathize and do good things – indeed, helping others intrinsically feels good, and that’s not just a social construct. That’s why a purpose can help. Addiction often leaves people aimless, unsure of where to go and what to do. Life is difficult to return to after a long period of addiction, and guidance can help. Whether your purpose comes in the form of being a good parent, or pursuing a better position at your company, or quitting and going into a different line of work altogether. Through a purpose, we can find a reason to keep going even on the tougher days. You need ways to let off some steam – ways that don’t involve vice and bad choices. It might sound irritating to go and focus on “healthier lifestyle choices”, but there’s more to it. Addictive drugs can’t be “replaced” in the same capacity – they’re some of the most potent and powerful psychoactive chemicals in the world, and the feeling of being high and wanting more fades but doesn’t disappear forever. You don’t need another way to get high. But you do need ways to deal and cope with the stressors of recovery. From sports to games to dancing, you simply need a few ways to have fun. Maybe the most important piece of information for anyone to receive while going through recovery is that it gets easier a step at a time. It’s not necessarily a day-to-day change – some days things are better, and some days things are worse. But over time, you’ll notice that it gets easier. The only way to survive recovery is to be surrounded with people who remind you that it’s not always bad, and that you can be strong and healthy. Another thing that’s crucial is to have a reason to be sober, and something to look forward to. A purpose to focus on, and something to hold yourself accountable for so even in your darkest hour, you call for help before doing anything you might regret. And, finally, it’s important to have fun. To let loose in new and healthier ways, find ways to cope with your stress, be around others and indulge in ways you previously couldn’t. Over time you’ll realize that there’s more than one key to maintaining a long-term sobriety. Having a place to return to when things get really bad, like a sober living home, is important too. It’s when it all comes together that the future feels more certain. 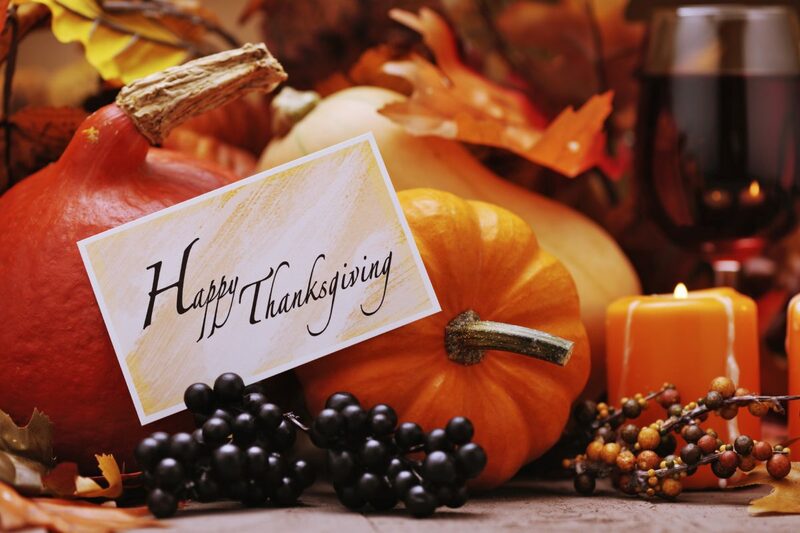 Thanksgiving is historically a time to celebrate rare moments of understanding and peace between two completely different concepts, juxtaposed by uncertain circumstances. Transitioning from a life of addiction to committed sobriety can feel like a battle with momentary ceasefires at times, and in early recovery, it’s important to cherish each moment you spend feeling confident in a future where you can stay clean and sober. But as the months turn to years, and the years pass by, it can be easy to take something like sobriety for granted. And when life’s challenges and frustrations catch the better of us, old temptations are always ready to try and claim another victim. Being thankful is not just polite, it’s important. If addiction is anything, it’s tumultuous and without control. From one moment to the next, life pulls you from one miserable direction into another, and any attempt to beat it on your own gets thwarted by an inner voice that convinces you to give up, or cravings so intense that you can’t think of anything but the next high. It takes more than one person to start the journey to recovery, so for anyone who made it through to a better, sober life, it’s important to reflect on the way there and think about all the people and all the factors that helped you along the way. It’s because of all that, that you get to enjoy a calmer life. A life more in line with what you really want and wish for. A life that gives you the opportunity to make your own choices, live and breathe freely day after day, and never feel trapped in the same way again. Waking up from a long night out can at times be downright excruciating when you’re addicted, and it’s only worse the longer the addiction lasts. Drugs and alcohol can heavily dehydrate the body and place a huge amount of stress on your endocrine system and your brain, causing massive headaches, dry mouth, muscle pain, memory loss, blackouts, and many other unpleasant symptoms. For many, mornings because synonymous with the struggle. That all changes when you start to adjust to sobriety. Sure, not every morning is a walk in the park. But you learn to be grateful and thankful for the peaceful mornings when you wake up earlier than expected, aren’t in a rush, and get to enjoy the first cup of coffee or tea with the sight of a rising sun. The smell of butter on toast, eggs in a pan, or pancakes, stacked and wafting through the kitchen. You get to have time to yourself in the mornings to prepare, wake up, and get ready for a productive day ahead. Some days won’t be like that, and most days meld together. But it’s the days when we get to stop and appreciate all we’ve managed to change that are the most important – and ideally, you should take time to be thankful for every day. Quitting drug use is not just a sound choice mentally, but physically as well. For every month spent sober, your body has more time to heal from your time spent using drugs. From alcohol, marijuana and cigarettes, to cocaine, heroin, methamphetamine, and prescription medication – every drug leaves behind a trace in the body. Drugs themselves are usually metabolized completely within a matter of hours, days, or weeks, but what’s left behind is the physical scarring and damage left by the drug use. The heart, liver, lungs, brain, and kidneys bear the brunt of the damage, alongside other organs like the skin and stomach. Not only does quitting help your body rehabilitate itself, but you’ll also find yourself reinvigorated with an appetite for the healthier things in life. It might take some time – and you’ll still probably crave a lot of sugar and salt during early recovery – but as you get used to sobriety, you learn to appreciate the real joys of cooking for yourself, making something equal parts delicious and healthy, and finding yourself yearning for time spent alone exercising, or in a group. Healthy living isn’t meant to be a chore, but a lifestyle you can maintain for decades. That means finding a way to live a healthy life you can truly love living. Drug use is prohibitively expensive. Not only does drug use often tend to leave people struggling in debt or, in the worst of cases, reaching out past the law to fuel their obsession, but it’s also accompanied by the bottomless despair that fills you when you realize you’re struggling to see a better tomorrow, or any tomorrow at all. The hardest part of early recovery is escaping that fear without the use of drugs. But with time, you learn to cope in better ways, and a better life begins to metamorphosize through your sheer efforts. Suddenly, you realize that all the money you’ve been spending previously looking for different highs is now better spent financing a more productive and healthier life, and a better future. It may be strange to think of being thankful for the things you’ve done for others, but it’s more important to think of it as being thankful for the opportunity to help others. Most people don’t quite realize it the first time around, but it feels good to matter to others. It feels good when people care. When you can look around and see that your life made a difference to others, that cuts deeper than anything ever well. The ability to leave behind a good legacy others will respect and cherish goes far and beyond every possible measure of physical wealth. And for someone who struggled through the depths of addiction and worked hard to build a life around sobriety, that feeling of helping someone along their own journey can be incredibly rewarding, and it can be a potent way to hold onto and cherish your own sobriety. Giving thanks for the opportunity to matter in someone else’s life lets you reflect on the fact that, more than anything, we’re here to help each other, and it’s through one another that we get through this bizarre journey. Sobriety might seem like a magic word, but it is very simple in its definition. It simply means not being inebriated. Being sober means not using drugs or alcohol and committing to sobriety means committing to a better life lived without the mental haze and the constant craving that characterizes an addiction. You get to live a meaningful life, lived with genuine experiences, rich relationships, and the possibility at feelings of fulfillment and content, the kind you would never experience through any drug for longer than a few minutes. Where drugs are ephemeral, achievements of hard work and dedication last years, and the love and kindness of your friends and family last for a lifetime. But how does one go from concluding a rehab program to living the kind of life that’s truly “worth living”? Firstly, no matter what your definition of an afterlife might be, every life is worth living to the end. But to make life enjoyable and fulfilling, we need purpose. People spend their entire lives chasing after dreams and aspirations to try and realize their purpose, and this question is much more philosophical than it is empirical. Purpose is meaning – it’s having a reason to do the things you do. It’s having a reason for getting out of bed. But many people settle for a single definition. They struggle to find happiness because their tunnel-vision led them to believe they only have one purpose. Being a parent is a purpose. Being a lover is a purpose. Being a good leader, a good team member, a good artist, a good worker. Some people are driven by their work, others are driven by a goal, others are driven by the good deeds they do at home and throughout their community. Some focus on their children, others focus on the world – yet in each and every one of us lies the potential to find a purpose for living, and pursue that purpose with perfect clarity – meaning, without straying from sobriety. Addiction is the result of many factors, and always has a list of causes. Yet many people initially turn towards drugs because they’re aimless, or their aims are misplaced. As drugs slowly disassemble a person’s life and hope for the future, purpose gets lost and thrown away – to the point of deep depression. With recovery and rehab, sobriety gives a recovering addict the chance to pick up a new purpose and continue to stay sober. Through purpose, we can find a clear context for the day-to-day. Through purpose, we endure hardship and struggle through challenges, because we know that it’s worth it, in our own eyes. There’s nothing religious or fanatic about it – purpose is the pursuit of a goal that gives us meaning, or the adherence to an identity that gives us meaning. And by pushing forward, day after day, recovering addicts can ignore temptations and leave behind their days of addiction because they’re focused on living a better, much more meaningful life. Purpose helps us be accountable to others, responsible for our own actions, and encourages us to strive for success in whatever shape or form we define it. But as much as purpose is what helps us drive through every hardship, we need to remain open with our perspective. Keeping a closed mind to other opportunities and losing sight of the potential meaning in our lives because of a failure is not a good way to live. Take two children who grow up as dreaming athletes and arrive on the regional stage. Both fail to qualify as national athletes, and both try again and again. One succeeds, and their hard work helps them fulfill themselves. But the other doesn’t succeed. Does that mean they’re invalid? No. It means they need another purpose. We can’t always succeed, and none of us really know what we’re supposed to do until we actually set out to do it and find out if it’s the right thing or not. It’s up to every single individual to figure out when to push on and when to give up – and much more importantly, it’s up to each and every one of us to pick up the pieces and find another purpose after failing. As a contemporary example, take actor Dwayne Johnson. A talented athlete, he aspired to become an NFL star, but never made it due to an injury that sidelined his career. Determined to figure something else out, he pushed his father to train him as a wrestler, as per the Samoan family’s long tradition. He eventually had his road to fame through the WWE and continued his success in Hollywood. Very few people have the luck and the circumstances that eventually led to the creation of The Rock, but everyone has the ability to overcome their challenges, work through their shortcomings, make use of their talents, and find a purpose in life that brings them happiness and fulfillment – no matter where it may be found. Addiction is a terrible disease to struggle with. It eats its way into a person’s mind and changes the way they think and feel. To deal with the long-term effects of addiction, you not only have to abstain from drugs and alcohol – but you have to find meaning in your life. Seek it out among your family, at the workplace, or on the field. Find your passion, your drive, your meaning. Go to classes. Try out what interests you. Hard work may not be worth what it used to be, but we can all afford to live purposeful lives, if we adjust our perspective and find the right path. Sober living communities are excellent for people coming out of rehab or for recovering addicts struggling with a relapse, because sober communities are based on social accountability and responsibility. When you live in a sober living community, you’re accountable toward others. Tenants in a sober living community share responsibility for said community, and have to keep their living spaces clean, while sharing chores to keep the common area presentable and hospitable to all. Every tenant is also required to go to work or school, or actively seek employment. These rules are meant to help ease tenants back into what sober living initially means – being part of a greater whole, a society where you contribute and share in the benefits of your combined contribution. From there, you’re encouraged to seek out your purpose, and engage in any activities that might interest you. Without addiction, the chains are off, and life is open to you. Planning A Sober Party: How Do You Do It? One of the biggest misconceptions surrounding sobriety and addiction recovery is that the second you sign into a sober living home or a rehab facility, you’re handing in your soul and are damning yourself to a life of prudishness and dreary boredom. There are countless jokes and quips about how sobriety is the death of fun. However, sobriety can be fun. You just have to know how to have fun in the first place. If you’re new to being sober after spending most of your time at parties getting drunk, it can be hard to imagine what a party must be like without booze. Sober parties are fun, but they’re a very different kind of fun. If your idea of partying involved lots of alcohol and loud music, then you’re going to have a very limited array of options for mimicking that. Sober parties involve having fun while being entirely aware of it – which is tough for most people coming out of recovery. The biggest difference between a regular party and a sober party is the lack of booze. But because celebrations and alcohol are so synonymous, it’s critical that you make that abundantly clear. It’s also important to know that you may not get that many people to come the first time around. If you have freshly-sober friends, they may not be comfortable going to a party just yet. If you have friends who still drink liberally, banning booze might just turn them off to the idea of going. Don’t give in. No matter what, it’s important to absolutely ban booze at a sober party, especially if you and/or the people you’re inviting are recovering. A lot of recovering alcoholics have trouble going to parties and staying completely clean, and many long-term sober people may find celebrations quite stressful despite learning all the ins and outs of avoiding alcohol at parties. By staying adamant about your no-booze rule, you create a welcoming atmosphere for people wanting to socialize but avoid temptation. The themes of the party are going to depend entirely on who you’re inviting. 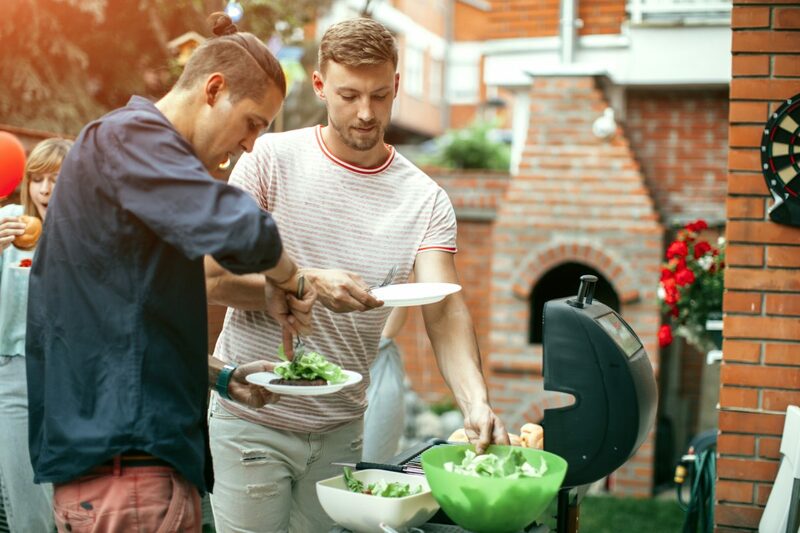 For some, something as simple as a sober backyard barbeque with good rock music can be a party. No one needs booze to enjoy music, unless it’s particularly bad. If you and your friends are more into games, then plan a night or a day all around them, from infuriating board games to Cards Against Humanity, boules, football, or party video games. If your friends are far more into food than playing around, then plan a potluck. Task everyone with bringing something homecooked or get everyone together to plan and cook a giant five-course dinner. If the people you’re inviting don’t all know each other, it’s important to have something planned to get everyone to introduce themselves and talk a little bit about who they are. You can turn it into a game, or just make it a priority to have everyone give a little wave and say hi. As a host, go around and make sure everyone has gotten acquainted. Don’t get imitation alcohol. Non-alcoholic beers, champagnes or wines are a bad idea. However, punches and fruit drinks might be a different story. Get a variety of drinks going. Make some of your own and buy a few. Be a little adventurous with your purchases and consider getting novelty drinks you might not have heard of before – they can become interesting conversation starters. Keep the drinks cool and keep them coming. Give everyone something to drink. For the most part, it’s best if the focus is on the meal rather than the drinks. If you’re going for a themed party, keep the theme going through the drinks and food. For example: if you’re going Indian, offer lassi, jal-jeera, tea, and thandai, alongside a variety of meal options, including meat-based dishes, some fish for the pescatarians, and entirely plant-based dishes for any potential vegans/vegetarians. There’s an infinite number of themes and possibilities online for you to explore and try out. Some will never be convinced that sobriety is fun. This is epitomized by “dry drunk” behavior – when someone struggling with alcohol addiction is committed to quitting drinking but hates every moment of being sober. This is relatively normal for the first few weeks of recovery, where both the mind and body must take time to adjust to being drug-free and coping with the various challenges that poses. Many use drugs like alcohol to deal with emotional pain and remove themselves from the world, cutting away at fear and anger by watering it down with a consistent stream of booze. But once the tap is out, the emotions come flooding back in, with a vengeance. The fallout for weeks, months, and years of bottling up one’s emotions is a rollercoaster ride of ups, downs, and twists. It’s no wonder many end up miserable, at first. But then the truth starts to set in, and people realize that they had been drinking their lives away. Alcohol doesn’t make things fun – it just lets you forget the bad things, but also eliminates the good. Relationships fall away, careers are destroyed, and lives end. But with sobriety, you get to live life as it is: some good, some bad, and a lot in between. It’s your choice whether you choose to remember the good and work for more of it, or wallow in the bad and never truly find out how good life can be. Life goes by much too quickly nowadays – while our life expectancy has steadily risen over the past few decades, the day-to-day has generally become much more saturated with a constant flow of information, competition, and a never-ending stream of suggestion and manipulation. Stress levels are rising in our society not because of enduring plagues or the looming threat of war, but because people are constantly asked from every angle to watch how they present themselves, strive to match the newest trend, or worry about the newest social or political movement. Mental illness, while better understood and explored in today’s society, is still consistently aggravated by societal pressures and perceived pressures emitted through media and the internet. Meanwhile, our constant access to data and information gives us an unprecedented level of knowledge, in exchange for steady mental stimulation and the stress and fatigue that accumulates because of it. Life goes by so quickly because there is little to no time to turn the noise off for a moment and let time slow down. While meditation has not been a valued cornerstone of Western spirituality or philosophy for very long, there is precedence for taking time to reflect in Western society. We would gather for family traditions, take the time to make daily offerings to specific deities or pray for their favor, and unwind after a long day at work – not through Netflix, television, or the radio, but through conversation and recollection. Families spend less and less time together, and more and more time online – especially on their mobile devices. Dinnertime conversations and general exchanges are becoming rarities, and while the internet permits us to chat with anyone, anywhere, at any time, face-to-face interaction fades. It is important to learn how to simply stop and reflect on things, now more than ever before. And this is especially true if you are recovering from an addiction. In recovery, the ability to reflect on your own and through conversation with others is critical. Old-fashioned face-to-face social contact is important as well, to help us regrow a sense of trust in others, and bolster confidence in our own abilities to interact with people and be a meaningful part of a community again. If you have recently begun your road to recovery or feel that something is missing in your quest to maintain sobriety, then consider the power of reflection and introspective thinking. It is as simple as it gets – you bring your mind within yourself, and think about what you’ve done, what you’ve thought, and why. Introspection is as simple as hitting the mental rewind button and contemplating your actions in times past – which can help a great deal in understanding your own addiction, and how to best prevent possible relapses moving forward. Simple questions – like, why did I start using in the first place, and what have I learned while sober – can help turn a chaotic and difficult time in your life into a time of learning and true growth. It’s not wholly accurate that people cannot change. While our personalities do solidify to an extent in our twenties and early thirties, there is a great long list of things that can change simply by confronting yourself and reconsidering your mindset and approach to life. Perspective is crucial in recovery, as a positive perspective can help you combat oppressive negative thinking and move forward with hope in your own future, rather than crumbling under the stress and weight of a potential relapse or total break from recovery. To begin incorporating introspection into your life, find a good time in your day to shut yourself off from the world. Remove technology, communication, and distraction. Take your time every evening to simply sit and think, and ask yourself a set of questions. They could be specific to a given day, or a given problem, or a general issue that has been bothering you. Introspection is a form of self-therapy and works much the same way as cognitive behavioral therapy, or other forms of psychotherapy where patients are asked to confront their way of thinking and reshape how they view themselves and the world. There is always the danger of using big words with little meaning when writing about matters of philosophy and psychology, so applicability is important. Incorporating time to reflect on your day, week, or life in general is immediately beneficial to anyone, at any point in their lives. It used to be that we had the time to go over our day, but with the amount of filler and distractions present in our lives today, we live day after day without ever getting the comfort of a proper resolution to our issues. As such, things pile up, and the stress grows. One worry is superseded by the next, but none of them ever actually go away, leaving traces in your mind like ghost data on a hard drive. You need a break – more than just a long vacation, but a regular break from worrying and overthinking. Reflection is not meant to be time spent turning one worry into another or going over problems until they mutate into something worse. Remember: perspective is crucial. Reflection is a time to think on what you’ve done and thought and derive a positive context for the future. Sometimes that can be difficult, and that is where professional therapy comes into play. At other times, just taking a minute to think things through can help out a lot. Recovery is the process of treating addiction, but this is often a very vague description of the recovery process. Every person’s recovery is a bit different, but everyone must make changes in their lifestyle to accommodate their newfound sobriety and make it a sustainable choice. Regular reflection is one such change, but there are many others you can make that contribute to the concept of changing your perspective for the better and carving a future for yourself that is not filled with worries of relapses, but happy thoughts of a better and exciting tomorrow. For that to happen, you must make a lot of changes to how you spend your time. Try and get into a line of work that you enjoy or are passionate about, even if you can only find an entry position. Try and make as much time as possible for the things that interest you the most, the things you are the most passionate about. And as much as possible, cut out things that you feel are heavily distracting you or are contributing to negative thinking, from Netflix to Facebook and Twitter. It might start with something simple as taking fifteen minutes before bed time to stare at the ceiling and sort out your thoughts, but everyone finds their own form of meditation sooner or later. Some people find themselves best lost in thought during autopilot activities, such as cleaning chores. Others turn towards reflective thoughts during training sessions or exercise, like swimming, diving, and long walks/runs. Whatever it is that best helps you get into a steady calm flow state of mind, try and pursue it regularly and find the time to reflect, and clear your head. While this is separate from introspection, it can contribute to helping you calm your mind, and bring you closer to something close to a meditative state. So, you are out of rehab, and well into your recovery process, rediscovering yourself and finding out what you are most passionate about, now that your life is open to the possibilities of doing much more than pursuing another high. However, for many people, going into a treatment program and working through the recovery process can lead to a lonely outcome, especially if some of the necessary life changes involve cutting out a whole host of people who have negatively influenced their lives over years. While group meetings and sober living homes contribute to making new social contacts in sober circles, not everyone finds a good match through their treatment programs. These treatment programs help people in recovery be sociable with others and learn to trust one another to a certain degree, but they do not guarantee lasting friendship or aim to forge a powerful bond between people – healing bonds are important, but many support groups eventually wax and wane as people go off to find emotional support in other places, through family and other friends. Finding your own friends while sober is important, especially if you have had to trim your social contacts down due to sobriety. However, without knowing where to start, this can be a difficult task. The key prerequisite to friends in and after recovery is their sobriety, at least around you. You are not going to be looking for drinking buddies, so preferably search in circles where people are already having fun and being sociable without alcohol. The easiest way of ensuring you are looking for sober friends in sober places is by attending a wider breadth of group meetings and support groups all over your area. Expand your search to new places around town and see if you do not happen to run into interesting people. If not, there is always something new to learn from attending group meetings – they can help give you insight into your own addiction by way of someone else’s perspective. 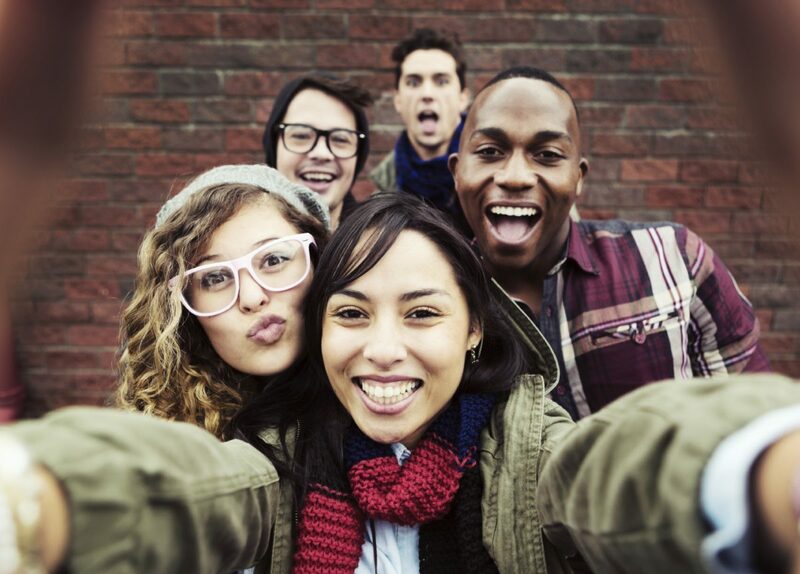 Sober circles can be a great way to make sober friends, but it is still a narrow selection of people who might be interested in the same stuff as you. Workshops, events, and competitions are great places to meet people with similar interests to yours. 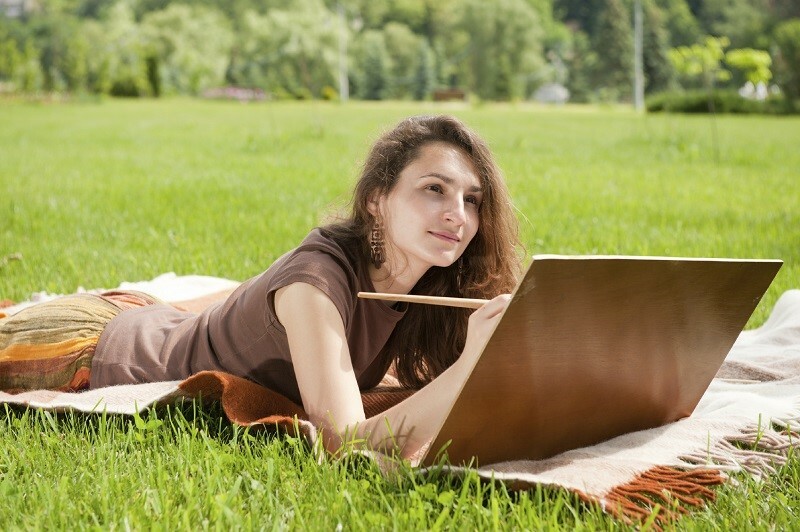 Focusing on your hobbies during recovery is part of the process, as well – it helps in finding ways to cope with stress without drug use or other negative, maladaptive coping mechanisms. In other words – try and have more fun, and you might find new friends along the way. The goal is not to expand your Facebook friend list or make a friend for each day of the week – depending on your needs and sociability, one or two best friends and a handful of other friends is usually all you need in life. It is important to meet with a lot of new people and be open to unexpected conversations and acquaintances, but do not expect to make half a dozen best friends by forcing yourself to meet more people. Be natural about it – see where things go. Friends are a matter of chemistry and mutual interests, not persistence. Nobody goes to the gym to make friends, or heads to a convention looking to meet their BFF. Rather than focusing strictly on making friends, just focus on getting out more often. Do not be afraid of social contact, and do not be afraid of introducing yourself to strangers – in time, you will find the right people for you. If you hate going out, then force yourself to go out just a little bit. Being social is key to meeting people, and even if it goes against your nature, you will often surprise yourself with how pleasant it can be to meet interesting people in interesting places, especially the kind where people with the same passions and interests as you mingle. Take your week and find the time to do something outside of your own home. It could be something as simple as running an errand and checking out a cool club or activity on the weekend or joining a new gym or heading to a new park for a morning/afternoon jog a few times a week. From there, it is just a matter of warming up to the idea of talking up strangers and learning more about them. There is a lot of pressure on people with addiction to get better. Typically, there are people who care for you – your parents, family, friends. They want you to get better, and many steps towards getting better involve getting uncomfortable, and watching things get tougher before they get easier. Sometimes, you struggle and do not manage to follow through on a step or achieve a goal the first time around. Your first foray into meeting new people or trying something out might not go according to plan, or you might not meet anyone, or you might not go to a meeting you were supposed to go to. There are countless reasons why things might not pan out, but it is important to deal with the aftermath in a useful and productive way. Beating yourself up over it and turning the situation into a combination of a guilt trip and a pity party will only make things worse, increase the trauma, and lead to a reluctance to try again. But pushing yourself too hard might just backfire as well. Try to remember what the goal is and try to ask yourself if you are truly dedicated towards it – if the answer is yes, then just proceed at a pace you are more comfortable with. Do not push for too many events and social outings in a single week. Try with just one and see where it goes. Instead of diving head first into the whole making friends thing, dip your toes in it a few times. It will get massively easier with time, especially after the first few times that you meet someone fun or interesting. Going at your own pace is important, because not everyone is very sociable – some people prefer to spend more time on their own, while others love being surrounded with people, and naturally make friends. Find a balance where you can be with others and have time to be alone and reflect on your recovery.